Mayor-elect Bill de Blasio announced on Thursday morning, Dec. 5 that Bill Bratton will once again serve as New York City's police commissioner. Almost 20 years to the day after Mayor Rudolph Giuliani appointed him police commissioner, William Bratton is preparing to take over the police department once again. De Blasio said that Bratton has the record and experience to reform the department and improve relations between New Yorkers and the police. "Bill Bratton, we in New York City are honored to have you as our top cop, and welcome back," de Blasio said. Bratton said that building trust between New Yorkers and the department will be a top priority, one that he says can be accomplished. The 66-year-old Bratton brought along a children's book about the police that he had discovered at the library when he was nine years old, to drive that message home. "I love the title: 'Your Police,' Bratton said. "In this city, I want every New Yorker to talk about their police, my police, with respect and confidence. They are going to be respected in turn. Bratton's appointment, however, raises questions by some about whether he is the right person to reform the police department's stop-and-frisk policy, a central platform of de Blasio's campaign. 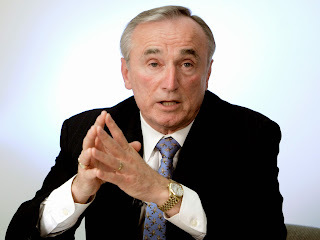 When Bratton ran the Los Angeles Police Department, he expanded the use of stop-and-frisk. De Blasio said that the comparison between New York and LA isn't a fair one. "Very, very different situation there," de Blasio said. "The community came to understand that the stops that were necessary were being done for a good reason." Mayor Michael Bloomberg declined to comment on the appointment. "I congratulate Bill Bratton on his appointment and welcome him back to One Police Plaza. I look forward to working with Bill to ensure a smooth transition." The transition may be smoother than usual. Bratton, after all, is returning to some familiar territory.